This week is #workinpublishing week, a fantastic initiative run by the Publishers Association to encourage those interested in publishing and those from outside the trade to join our wonderful industry. All this week alongside #workinpublishing week we will be posting our 5 Step Guides on various topics. We're now on the second day of #workinpublishing week. For Throwback Thursday we are looking back at when our consultants Chloe Daniell, Shalini Bhatt and Rhiannon Griffiths attended the SYP’s annual conference earlier on this month! This was an absolutely brilliant and insightful day and started with a keynote from the legendary Claire Conville, who co-founded her own Literacy Agency. She noted how eBooks and digital are a new way to share truth, knowledge and beauty. 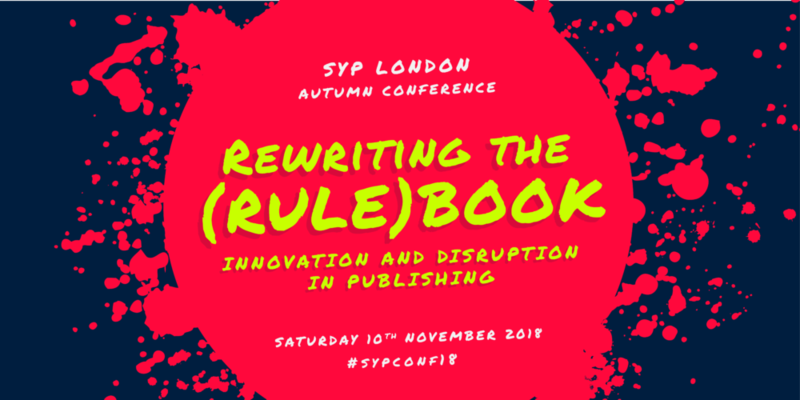 As publishers we are custodians of the rich culture – we find the storytellers and then find the audience to tell them to; innovation and disruption can be the quiet time-bomb with the power to transform minds.